The Debbie Meyer GeniusVac seals in flavor and locks out air that causes freezer burn, saving you money and time. Compact, battery operated and portable, this ingenious handheld vacuum sealer can be used anywhere. Take camping, boating or on picnics ... even on your next road trip. 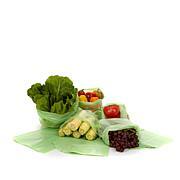 Or stay home and split bulk food purchases into ready-to-freeze portions for supreme convenience. 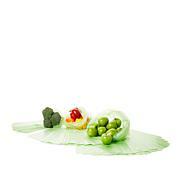 Now you can enjoy everything from coffee to leftovers longer, without scrimping on freshness. It may take a few tries to properly seat the vacuum sealer on the bag's valve, but once properly secured, effective suction should result. 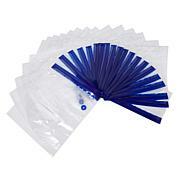 To ensure proper vacuum sealing, make sure no food is trapped in the tongue-and-groove seal when sealing the bags. 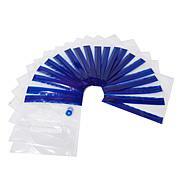 While remaining portions can be resealed in the GeniusVac Bags, these bags are not recommended as reusable. 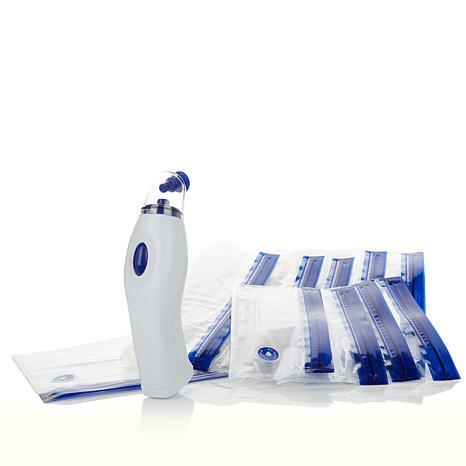 Bags are also suitable for use with the Debbie Meyer/Reynolds Handi-Vac (not included). Love this system. So happy I bought it. Really workes and keeps the product protected in the freezer. The bags are so much heavier than what you buy in the stores! This little vac works really well! Have purchased a few for family members. Keeps avoados green! Compact, powerful, efficient, works great! WORKS LIKE A CHARM TO SAVE MY VEGETABLES AND MEATS. WHAT A GOD SEND. THANKS FOR THIS GREAT PRODUCT. SIMPLE AND EASY TO USE.